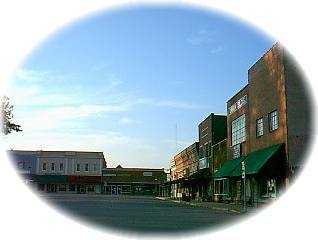 Mountain Grove, Missouri is one of the friendliest, most picturesque small towns in the Ozarks. It's a community whose citizens work hard, play hard and happily lend a helping hand to neighbors and area visitors alike. On a typical sunny afternoon, you can find families picnicking, watching or participating in a baseball, softball, tennis, or sand volleyball game at one of the many recreational areas available in Mountain Grove. For less strenuous pursuits, choose the Old Mill Tour, which is a historical look at some of the nation's finest surviving pioneer water mills. Indoor enthusiasts can enjoy nearby Branson, and its nationally recognized live music shows in the heart of the Ozark Mountain Region. Farming ranks as one of the top industries in South Central Missouri, and Wright County is among the leaders. It has earned the distinction of being ranked as the number one milk-producing county in Missouri. Beef cattle and the lumber industry also play important roles in the areas economy. We're sure that you'll have such a memorable experience in Mountain Grove, Missouri that you'll tell your friends and you'll come back again and again and again.....maybe even to stay permanently. A bronze Civil War soldier stands facing south in the square. Its orientation caused great controversy among the veterans of the Grand Army of the Republic when it was first erected.